While on holiday on the Scottish weat coast, we made a boattrip to Staffa and the Treshnish Isles, of which Lunga is the largest island. Lunga is known for its large colony of breeding pufiins. These seabirds of the Auk-family nest in clifftops, raising ine chack a year. By half August they leave for the Atlantic, only to return in April. The newly borns live several years at sea before they start breeding. 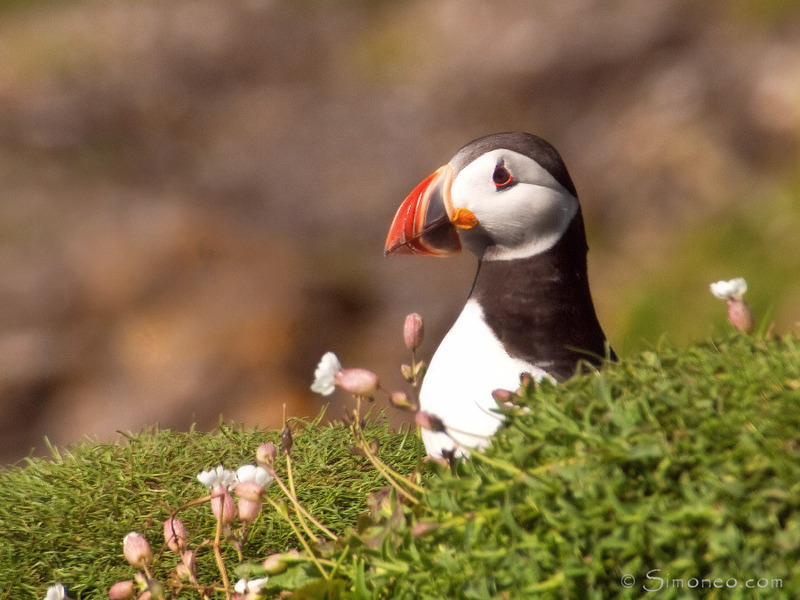 Puffins feed on sand eels and small herring.